Plasma Antennas, the inventors of plasma silicon technology, have launched the mmWave Plasma Silicon Antenna (PSiAN). 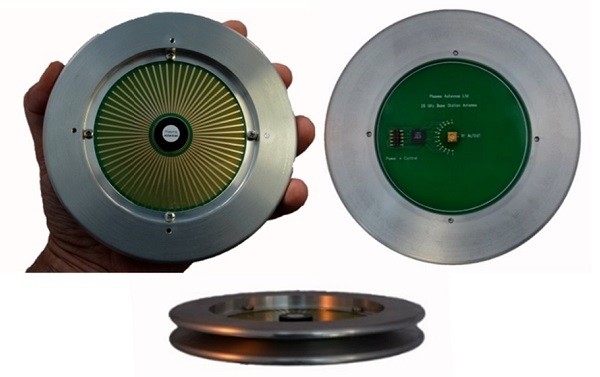 These plasma based antennas offers huge improvements in performance for 5G base stations compared to antennas developed using conventional antenna technology. Based on the company’s patented Plasma Silicon technology, the antenna reduces the cost of a 5G base station by up to 50% by eliminating phase shifters, reducing and consolidating amplification and reducing computation. The PSiAN has no moving parts and is dynamically reconfigurable as it forms and steers beams. The technology does not need calibration and can handle practically unlimited power, having already been tested up to 40 watts. The Plasma Silicon-based products are smaller, lighter and use less power than equivalent products using current technology. The PSiAN also has an omni mode, when it draws no power at all. The company has shown the value of the technology in a variety of scenarios, including 360° field of view beam forming and steering at 28 GHz, in pole mounted small cells, indoor small cells, small cell base station antenna for standalone and MIMO 5G, Fixed Wireless Access (FWA), and Connected Vehicle applications. These devices can also be stacked to form and steer beams in two dimensions (azimuth and elevation), or to form multiple beams and MIMO applications. Antennas based on PSiAn technology are expected to be available for customer trials in about 2 years. Click here to learn more about this technology.